We tend to let our teeth go unappreciated often than not, but the truth is, they’re the unsung heroes when it comes to our health and wellness. The old saying, “You don’t know what you’ve got ‘til it’s gone” rings particularly true here. At Galleria Family Dental, we know the loss of your natural teeth can be traumatic, but replacing them doesn’t have to be with dental implants. Dr. Hahn is a skilled and experienced dental implant provider in Henderson and has the precision technology to provide surgical dental implant placement and restoration from the comfort of your dental home. 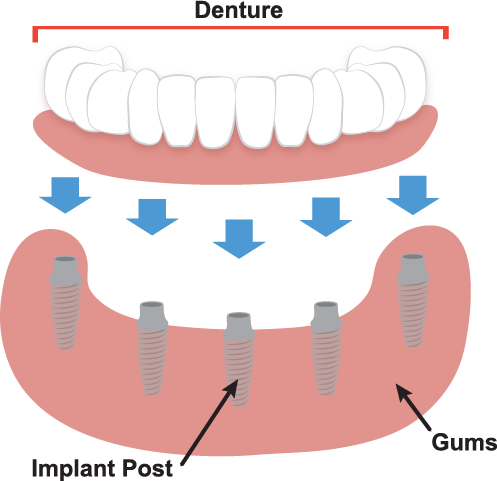 Dental implants are synthetic tooth roots designed to replace missing teeth. Traditional tooth replacements like bridges and dentures only replace the crown or the visible portion of the tooth, whereas dental implants are the only way to replace the tooth root. The tooth root is essential for maintaining the health and integrity of your smile and jawbone, so dental implants have truly been a revolution in the dental industry. And now, dental implant treatment is easier and more successful than ever. Dental implants are typically constructed of biocompatible titanium, like what is used for many artificial hip or knee replacements, because it is well-suited for integrating with human bone structures. 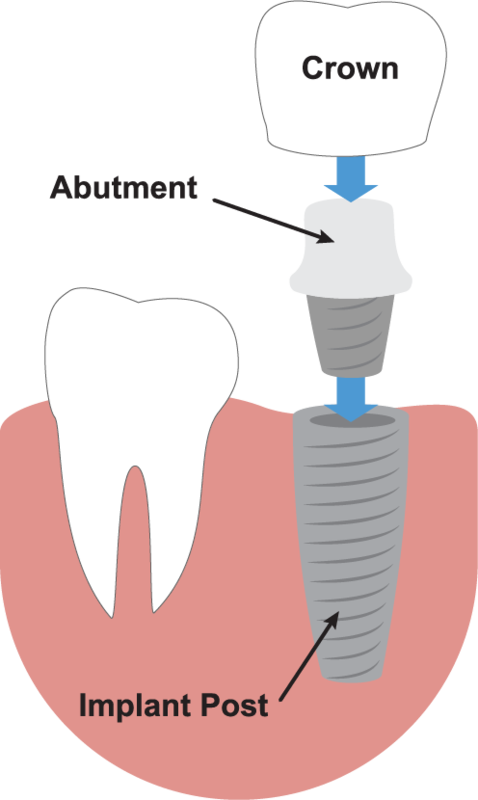 This means the implant actually becomes fused with your jawbone, preventing further bone loss and providing a secure anchor for a replacement tooth or teeth. An implant and a crown can replace a single missing tooth, one or more implants can help secure a bridge for replacing several teeth, or several implants can help secure a full set of implant-supported dentures. Implant-supported dentures are the best option if you’re missing most or all your natural teeth. With traditional dentures, you would continue to experience bone loss that causes problems for the fit of the dentures, as well as that sunken-in facial appearance. Even if they still fit well, they’re typically secured with a denture adhesive that is messy and allows them to rock, slip, and fall out of place. Traditional dentures must also be taken out and soaked overnight. Thankfully, with implant-supported dentures, there is another way! A series of dental implants, depending on your needs and budget, is used to secure the jawbone and lock the dentures in place. This added level of security allows you to enjoy your favorite foods, to speak naturally, and to smile with confidence again—without worrying about your teeth. There are different options available depending on your needs. In some cases, your denture can easily snap in and out, and in others it will be permanently secured, only to be removed by Dr. Hahn. Either way, implant-supported dentures give you the freedom to get back to living your life with a healthy, beautiful, secure smile—they can even be cleaned and maintained just like natural teeth! If you’d like to learn more about dental implants, or you’re ready to schedule a consultation with your Henderson implant dentist, Dr. Hahn at Galleria Family Dental, give us a call today or request an appointment online! We look forward to partnering with you on your journey for health and wellness.